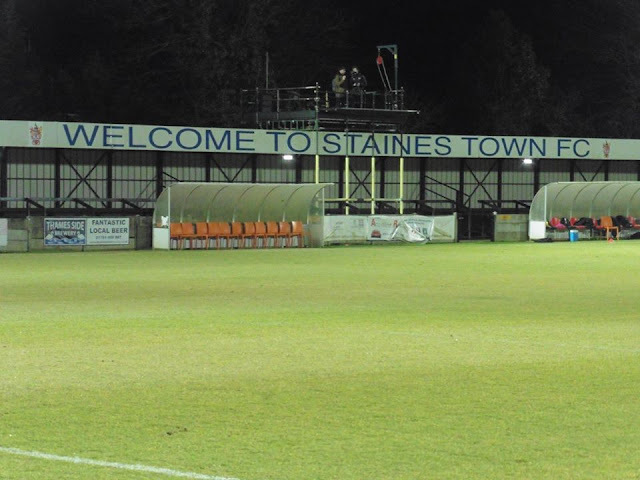 Staines Town Football Club were formed in 1892. 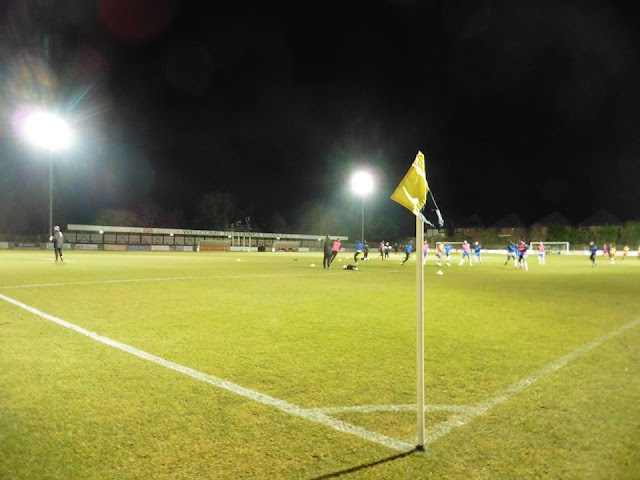 They were known as various names including Staines FC, Staines Albany FC, Staines Lagonda FC and of course Staines Town FC until it folded in 1935. Prior to the World War, the club re-formed as Staines Vale. 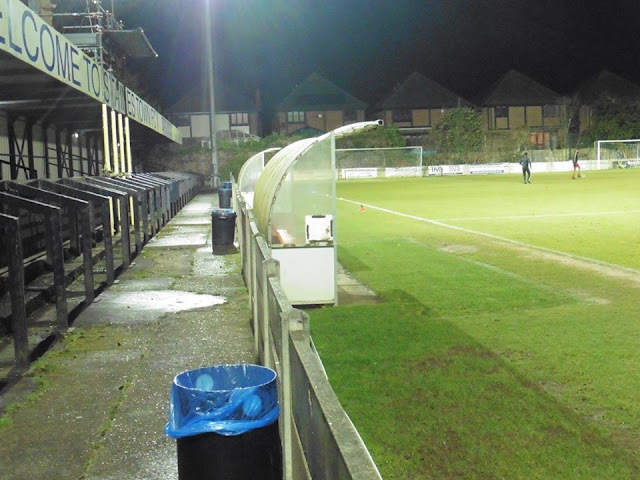 In 1953, the club were founding members of the Hellenic League, where then 3 years later they finished runners-up. 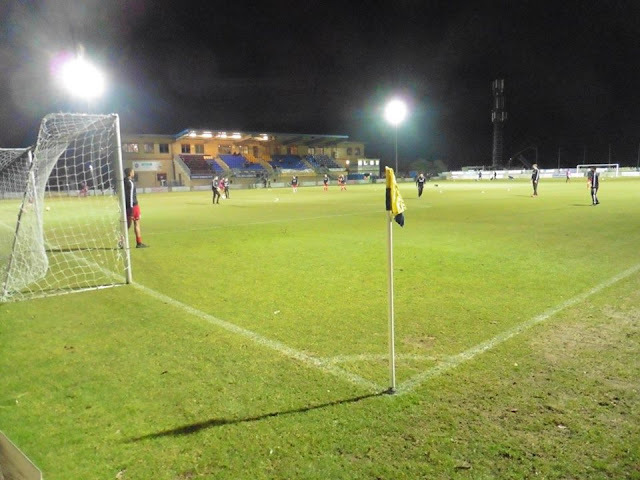 After finishing 2nd in 1971, the club advanced to the Athenian League, where they won the 2nd Division on the 1st attempt, winning the League on a record number of points. 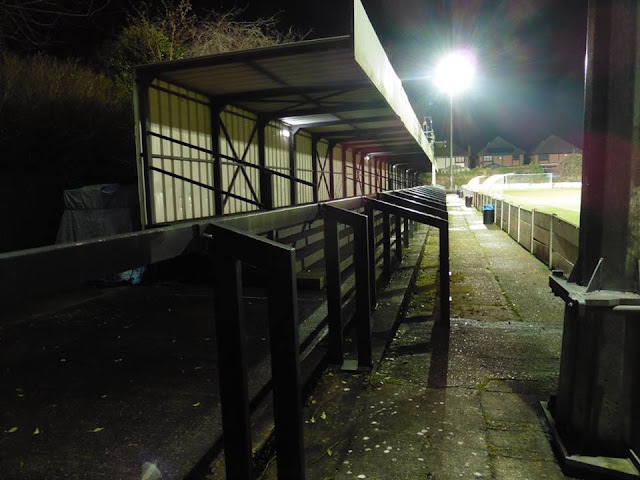 A year later, the club then were elected into the new Isthmian League Division One, and a year later the club finished top and were promoted to the Premier Division. The following year they finished 9th with 66 points from 42 games. 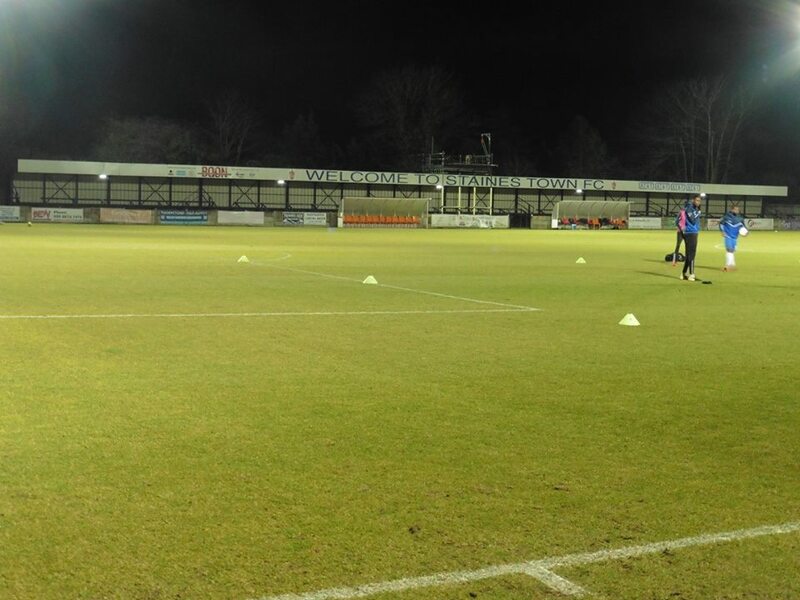 The club's best FA Cup runs have been in 2007-08 season and 2009-10 season reaching the 2nd round proper. In 2009, they earned a place in the 3rd round draw after a 1-1 draw with Millwall. The replay back at The Den saw Millwall comfortably beat Staines 4-0. The winners of the tie faced Derby County. In 2007, they took then League Two side Stockport County to a replay back to Wheatsheaf Park, and won on penalties (4-3) which saw them draw Peterborough United at home then managed by Sir Alex Ferguson's son, Darren. Peterborough won 5-0, and Sir Alex Ferguson and Sir Trevor Brooking were guests at Staines Town that day. Staines won the Isthmian Premier Divison Play Off Final in 2009, beating Carshalton Athletic 1-0 at Wheatsheaf Park, Scott Taylor getting the winning goal in extra time. 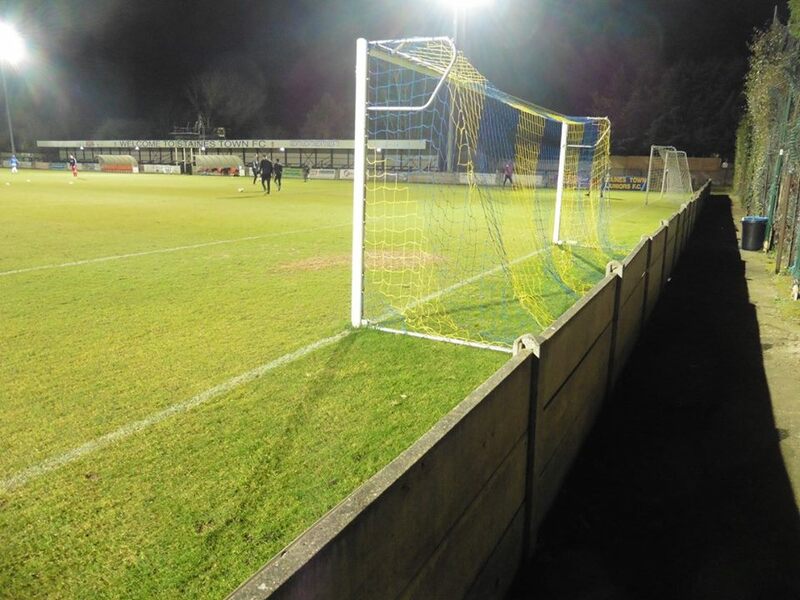 Staines were promoted to the Conference South and stayed there until relegation in 2015. 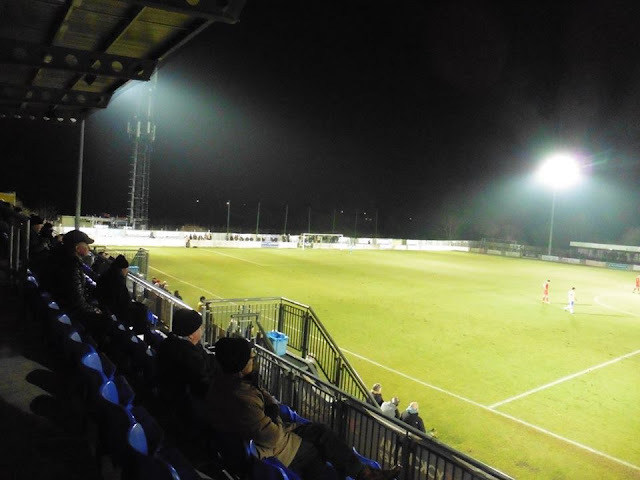 Rivals include Ashford Town (Middlesex) Egham Town, and Hampton & Richmond Borough FC. 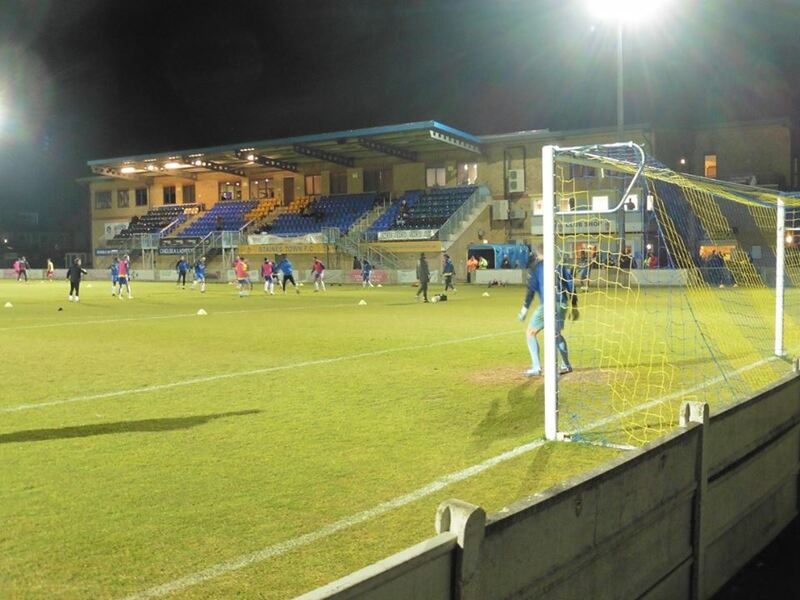 Wheatsheaf Park has been the home of Staines Town Football Club since it was purchased in 1951. The ground has a total capacity of 3,009 with 300 seated and 800 covered terracing. The record eague attendance for a game at Wheatsheaf Park was 2,285 in a league game against AFC Wimbledon. 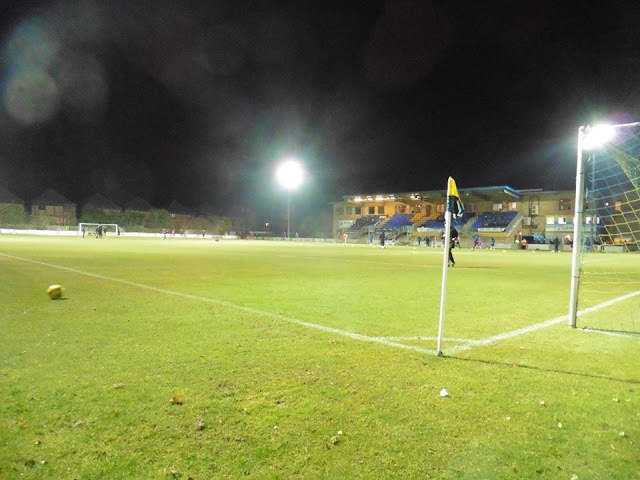 Also Wheatsheaf Park is the home of Chelsea Ladies FC. 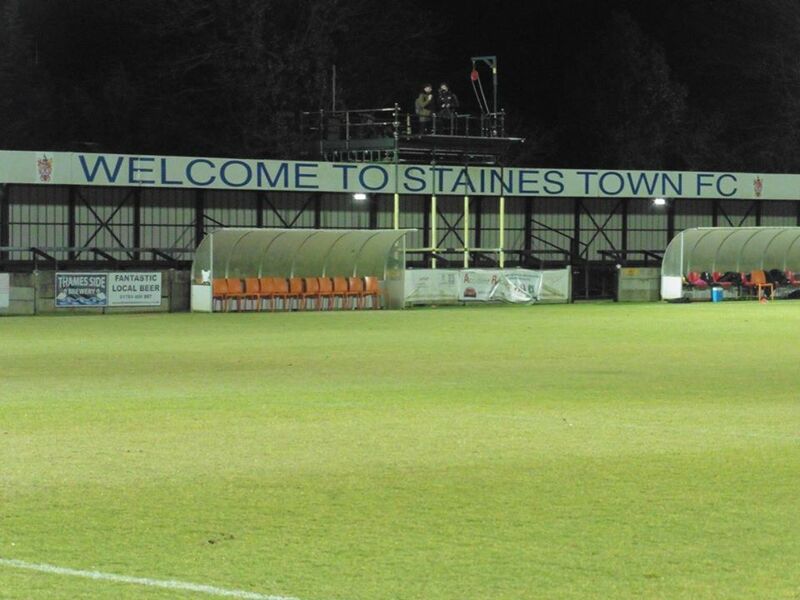 Staines railway station is the nearest to the ground, around a 20 minute walk. 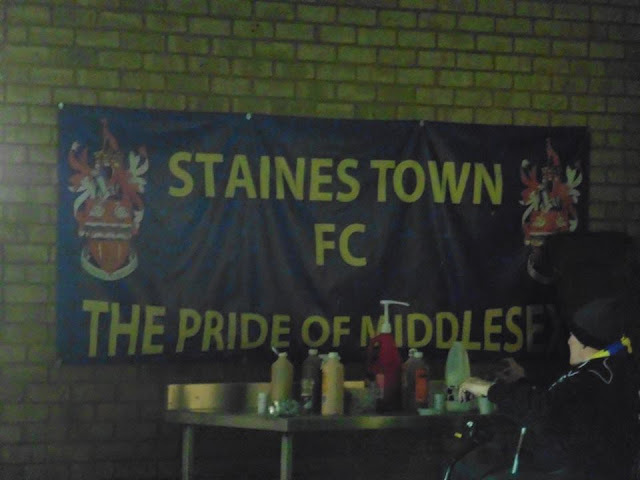 My original plan to visit Staines was back on Halloween night, but after receiving some heart-breaking news, I gave it a miss. 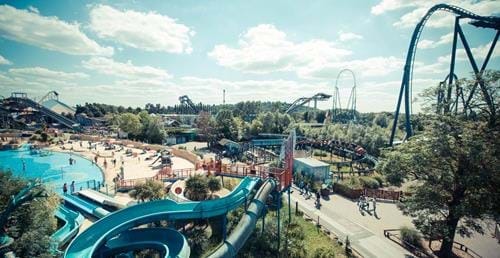 I wasn't in the right frame of mind, so I just fancied a bit of time to myself. 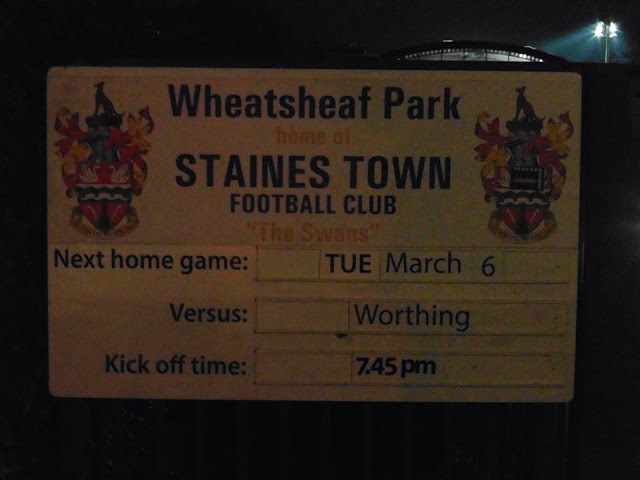 But anyway, I noticed Staines were at home to Worthing only a few days before I checked the fixtures on Soccerway, so I decided to give this one a visit, and one I'm very glad to have chosen anyway. I arrived to Staines shortly after 7 after leaving home at 5. 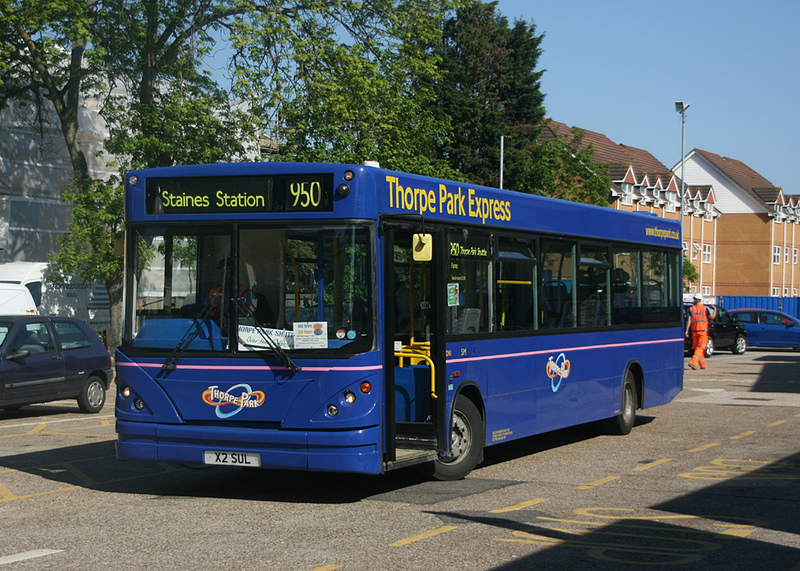 I've been to Staines railway station a few times before as it's an easier route to get to Thorpe Park, a great theme park which is situated in between Staines and Chertsey. 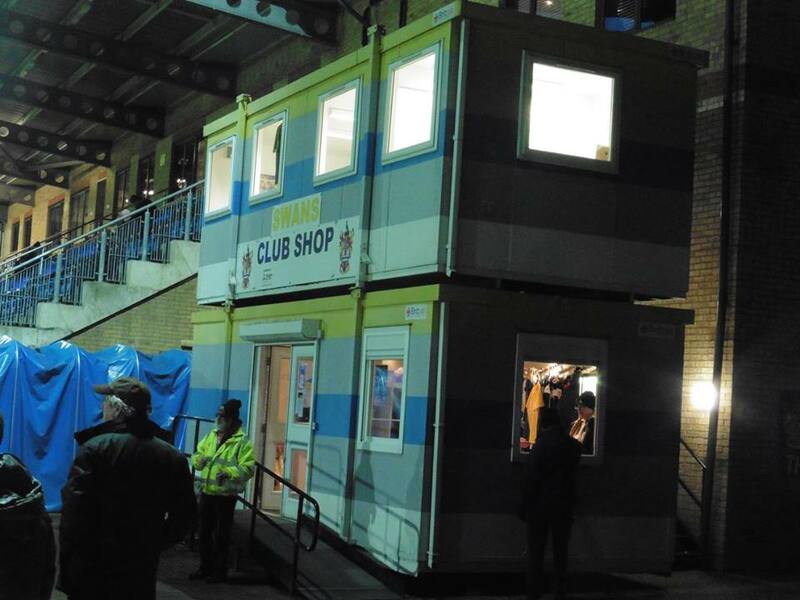 I arrived to the ground about 7.15pm. £10 admission, although I didn't see any programmes, so I didn't have chance to buy one. 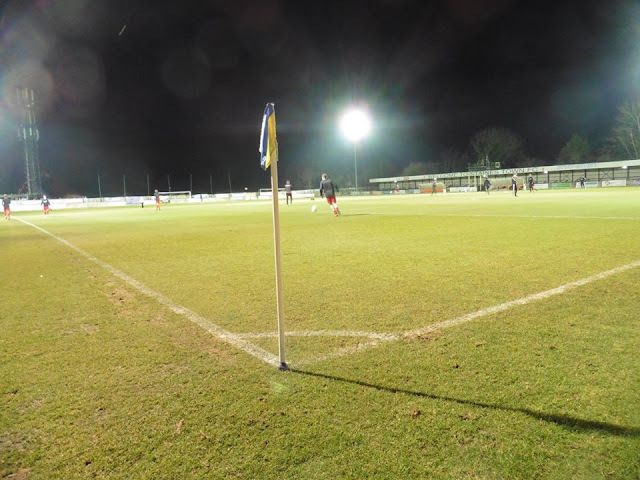 I did a little bit of research in both teams before getting to the ground, I noticed Jesse Starkey now plays for Worthing on a permanent basis after a brief spell with Gills, and he was in the team, so would have been interesting to see what he was like. I sat in the main stand on the side of the pitch at Staines, it sort of reminded me of Met Police's Imber Count but slightly better. 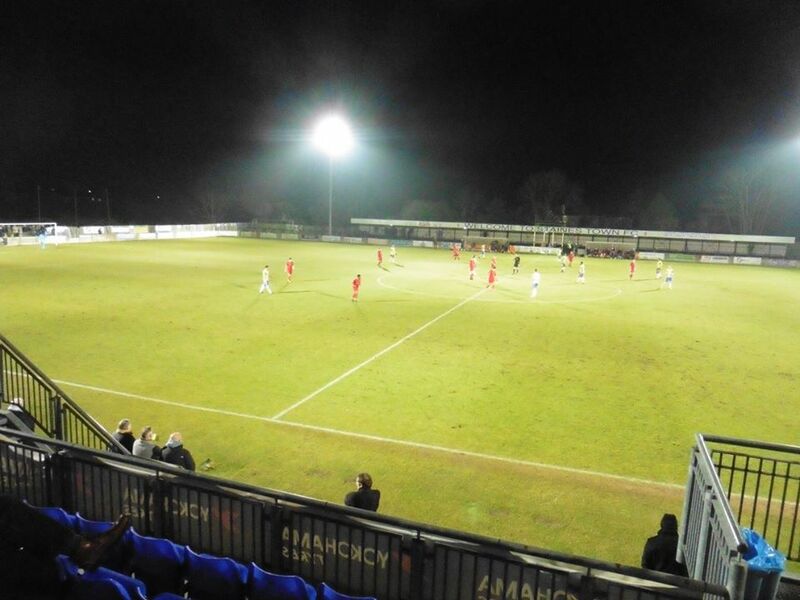 Anyway, onto the game itself, and it was a cracking game to watch. 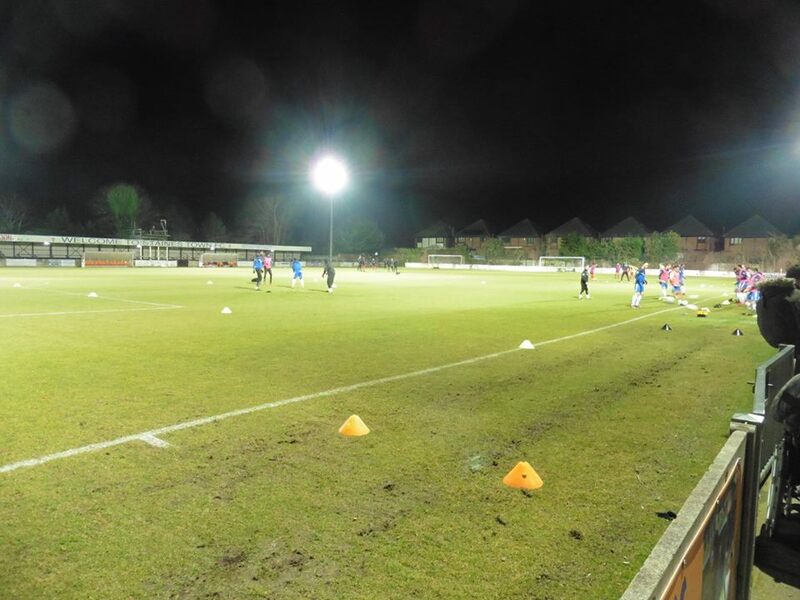 Both teams played some nice football at times, and quite a few mistakes were easily made. 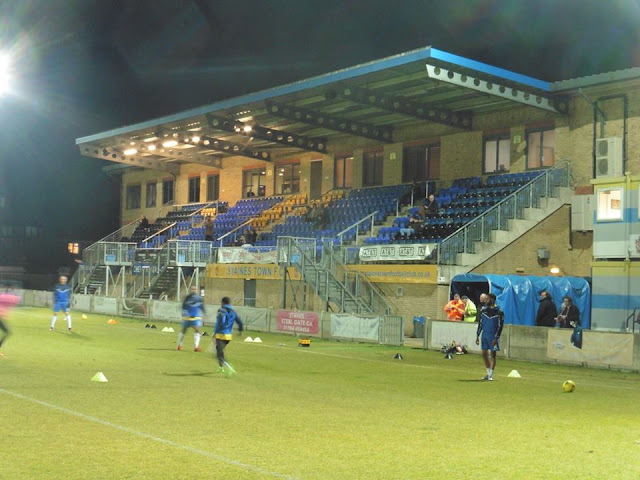 I was impressed with Staines number 11 on the wing, Max Worsfold, a tricky little winger. A name that did ring a bell from Worthing was number 4 Sam Rents, as I thought I heard that name somewhere and it turned out he used to be at Brighton for a bit. 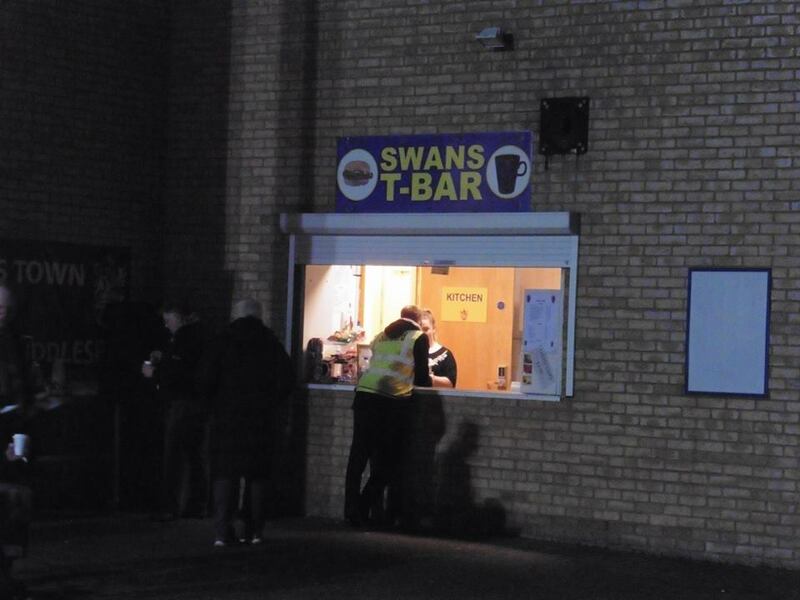 But yeah, overall a cracking 3-3 draw and probably a fair result in the end for both teams. A nice little ground I thought and worth a visit. 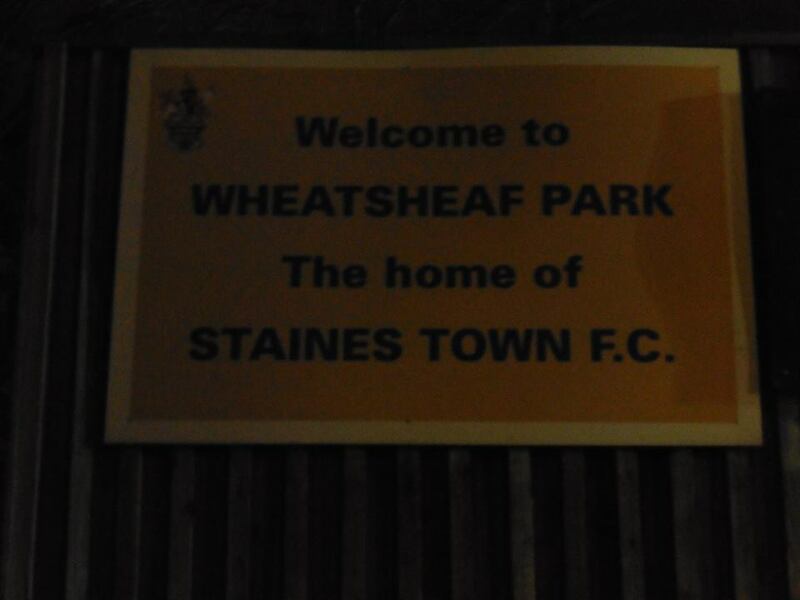 I arrived home from Staines shortly after half 11.